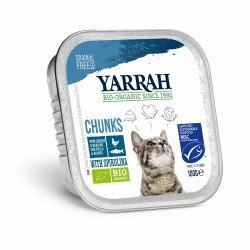 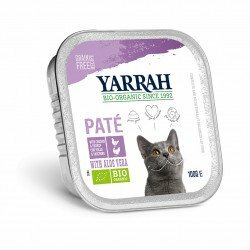 Grain-free kibble with organic chicken, MSC fish, peas, nettle, seaweed and baobab. Due to the lowered level of fat, the food is especially suitable for castrated and sterilised cats that have the tendency to gain weight. 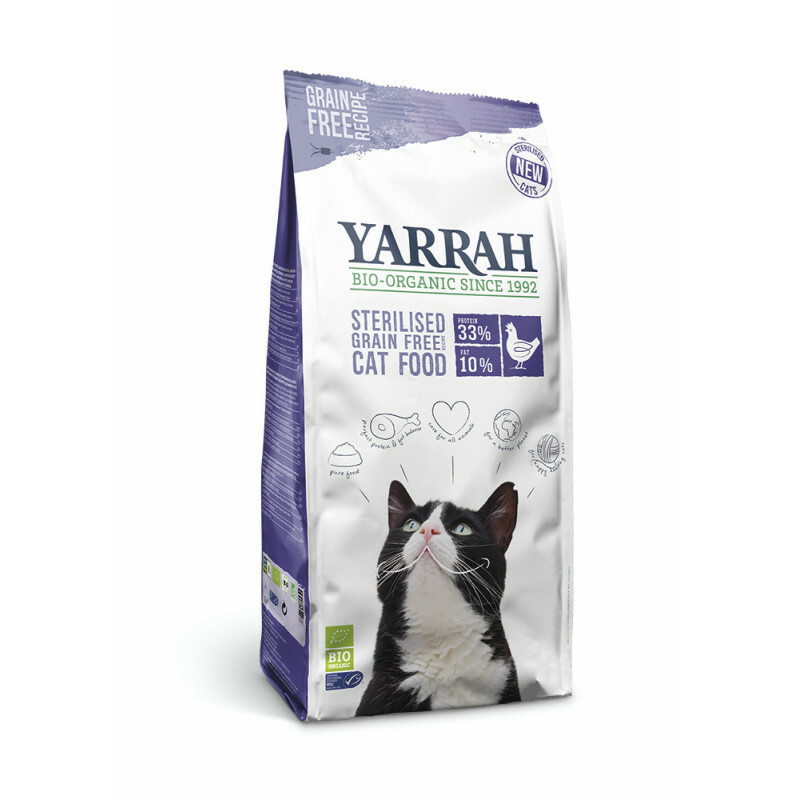 A complete, nutritious and highly appetising meal for your neutered cat. 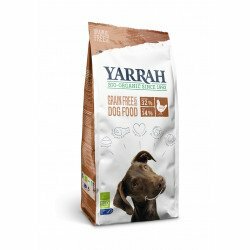 Only pure food, free from artificial additives, pesticides and GMO.